After five days forsaking showers and brushing their teeth with bottled water, an estimated 300,000 residents around Charleston, W.V., will once again have access to safe tap water. Gov. Earl Ray Tomblin said today a "do not use" order is being lifted in zones after extensive testing deemed the water safe to drink. Officials said the ban was being lifted in a "strict, methodical manner" to ensure the water system isn't overwhelmed with demand. Customers are also being advised by West Virginia American Water to flush out their pipes before using tap water again. For Sean McCormick, an attorney who lives in downtown Charleston, the first area that has been given the go-ahead to use tap water again, the good news means he'll finally get something he said he'd previously taken for granted -- a shower. "I've had one shower since Thursday, which is tough," McCormick, 25, told ABCNews.com. "Brushing your teeth is a pain," he said. "You really don't realize how great it is to have running water every day until you don't have it." 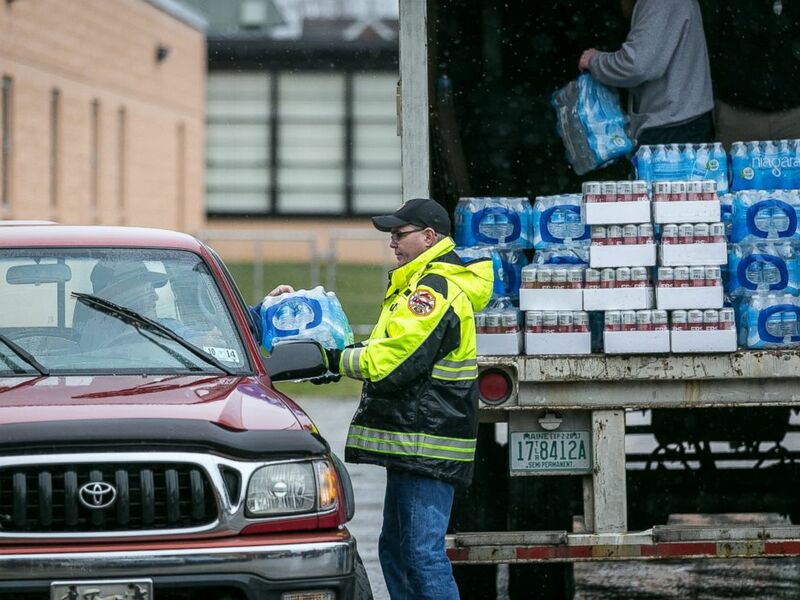 Over the weekend, FEMA handed out more than 2 million liters of fresh water, while residents said many grocery store shelves remained stocked with bottles of water for purchase. West Virginia's water woes began on Thursday when thousands of gallons of a licorice-smelling chemical used to process coal leaked into the Elk River, prompting the West Virginia American Water Company to issue a "do not use" order. The licorice smell has been lingering around town, even inside McCormick's apartment since Thursday, he said. "It's not a bad smell. It doesn't stink. In certain parts of downtown right by the river, you can really smell it," he said. "I could smell it in my apartment Thursday night and Friday just from flushing the toilet." As West Virginians cope with the hardship, Erin Brockovich, who in 1993 led a multimillion-dollar groundwater contamination case against Pacific Gas and Electric Co., has arrived in Charleston to help answer questions. The environmental activist said she had received more than 3,500 letters and emails from people with questions and concerns about water safety. The U.S. Chemical Safety Board said it has sent an investigative team to the site of the spill to determine a cause. 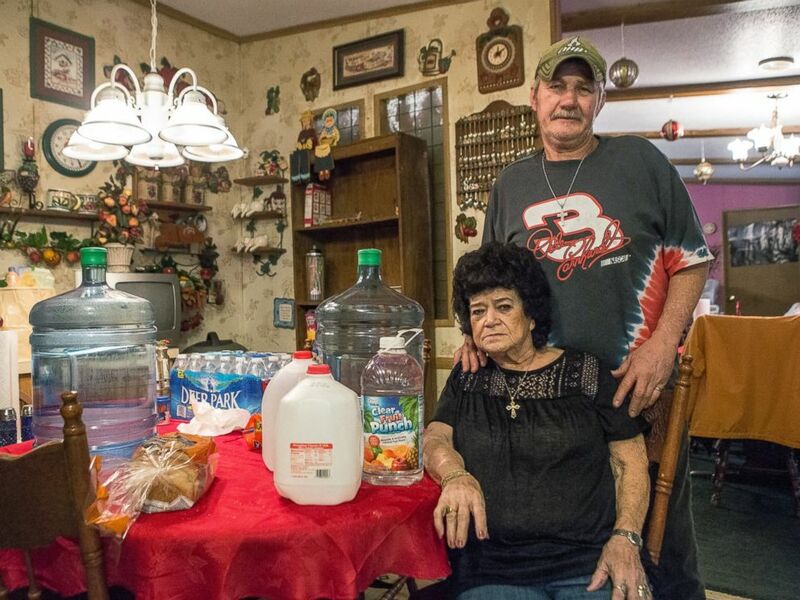 Bonnie Wireman of Dry Branch, W.Va talks about how the ban on using tap water for drinking and washing has effected her and her family on Jan. 11, 2014 in Dry Branch, W.V. 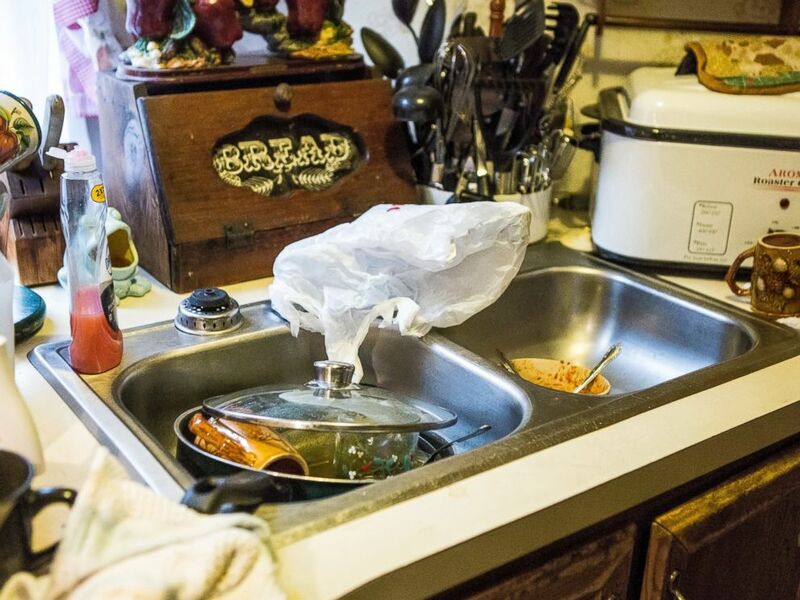 Bonnie Wireman of Dry Branch, W.Va has covered her kitchen faucets in a bag because she kept forgetting about the ban on using tap water for drinking and washing. 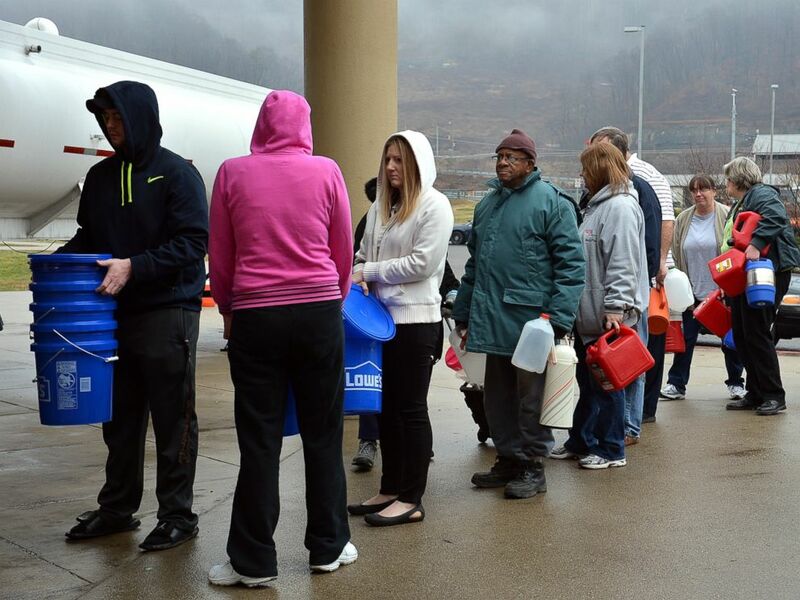 People wait in line for water from a 7500 gallon tanker truck brought in from Washington, Pa., on Jan. 10, 2014, at Riverside High School near Charleston, W.Va.
Members of the Nitro Volunteer Fire Department distribute water to local residents following the chemical spill on Jan. 11, 2014 in Charleston, W.V.